WelCome to the official site of the Verdelis Camping. Have a nice time ! Here you will find camping spots in the shade of tall, leafy trees, next to an 600 metre beach. Showers are always hot no matter what time of day it is and the drinking water is always cold. Washing areas for clothes and dishes are comfortable and clean. 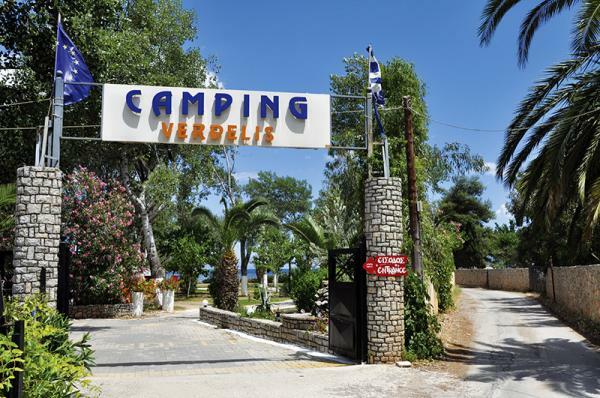 VERDELIS CAMPING has a playground and other areas for children, as well as a mini-market, a bar, a kitchen and a taverna with traditional Greek food, showers, washrooms, telephone and internet services.